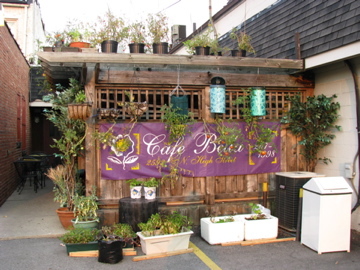 I first heard about Cafe Bella when I went to the WCBE Coffee Klatch on locavorism in July. I have biked and driven past its North High Street location many times but never really noticed its unprepossessing exterior. What intrigued me were the stories of a patio garden filled with plants being grown for a local food pantry. The stories were true and chef/owner Vince does raise seedling tomato plants to donate to the food pantry. He has a number of other interesting horticulture and aquaculture projects and the limited outdoor space is packed with barrels, pots and drainpipes. Owner Vince is not your usual restauranteur and Cafe Bella is not your average restaurant. It is quirky and informal and BYOB, which makes it feel more like someone’s home than a restaurant. Food is served family style and service can be a little patchy. This is not the realm of the overly attentive water fillers. There is no menu and when you arrive there is some negotiation with Vince based on what you feel like eating and what he feels like cooking. The day we were there he was making chicken parmigiana and salmon with vegetables. We all wanted the salmon but he insisted that we taste some of the chicken as well. 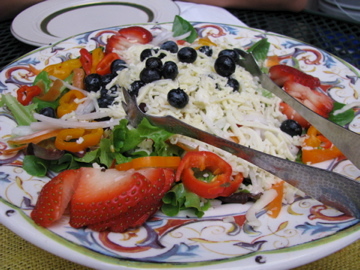 We started with a colorful salad with peppers, onion, strawberries, cheese and blueberries over a bed of lettuce. 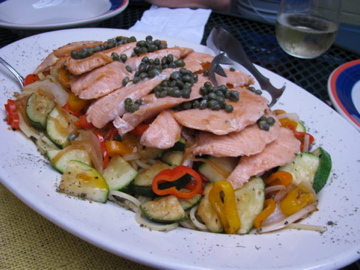 This was followed by the generous main course of salmon in a caper sauce with zucchini, onions and peppers over spaghetti. It was very tasty. 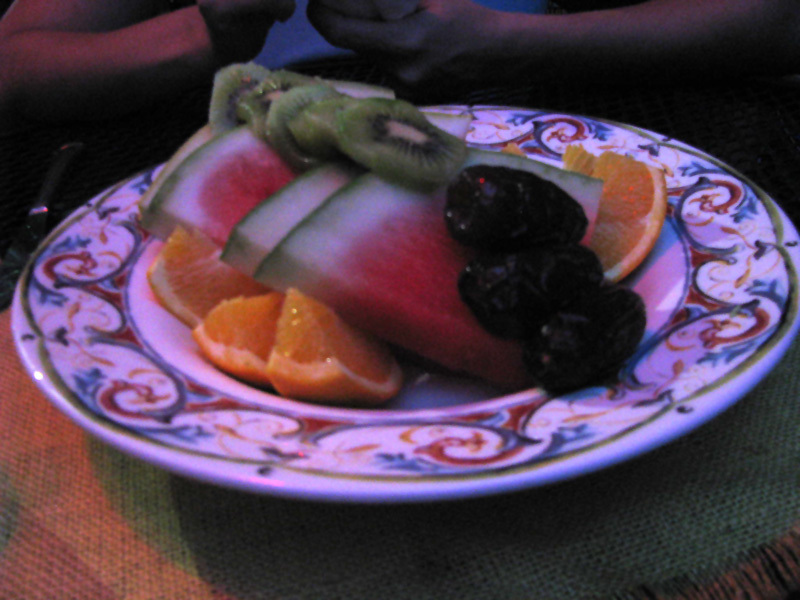 Dessert was a platter of fruit and medjool dates. I left feeling both full and virtuous. When we finished eating we gingerly asked about the bill. No menu also means no prices, and while we waited we speculated on how much it would be. Vince asked for a donation of $13 per person and we happily complied. Cafe Bella is a good place to sit and linger with good friends, not somewhere to go if you are in a hurry. Take some wine, sit on the patio, chat with Vince about his plants and projects. SO glad you reviewed this!! 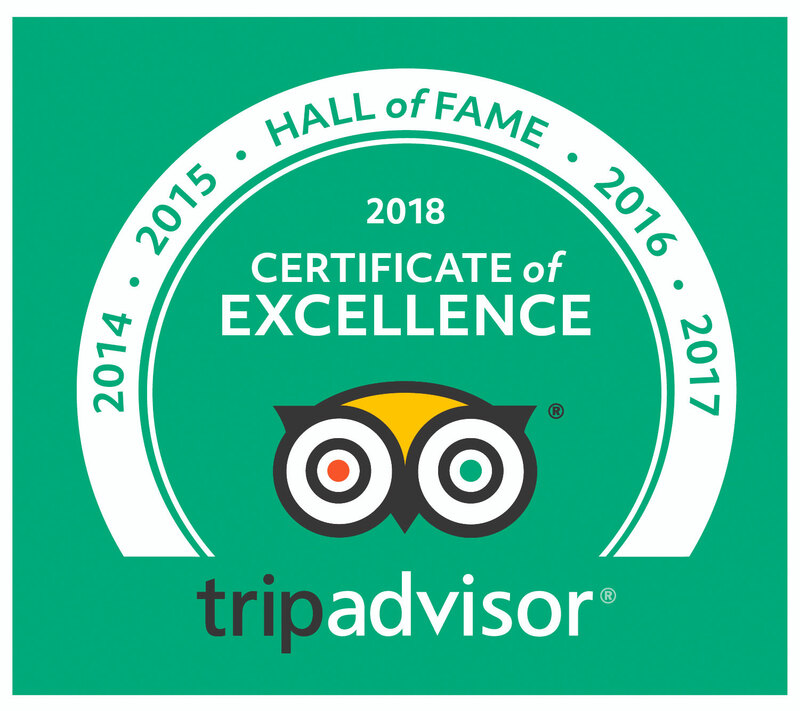 Makes me much less nervous about trying it out soon 🙂 Sounds like a great time! Glad you liked it. Vince and Emily are two of my favorite people in Columbus. Thanks for reminding me it’s been too long since I’ve been there! Lets go sometime soon Somer!